different side to their talents, or release songs that didn’t quite make the cut for a full-length album. 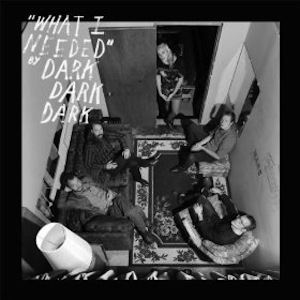 The Minneapolis quintet Dark Dark Dark put aside their dark chamber-pop sound on 4/20 with their exclusive UK Record Store Day release of What I Needed. US fans, do not despair, for you can obtain the EP via import or digitally. What I Needed explores a jazzier style and sound that suits Nona Marie’s voice perfectly. The EP opens with the title track, a beautifully retro torch song. The soft “oohs” and “ahhs” and Nona Marie’s pleading, melting voice would make Doris Day and Patsy Cline proud. “Love Lies” is one of the best DDD songs we’ve ever heard. Unfortunately, the only flaw in this gem is the remix of “How It Went Down” a track from last year’s Who Needs Who album. We’re not sure if it’s the tempo of the remix or if Nona Marie’s voice is not suited to being backed by disco. That being said, it’s out of place in the presence of the jazzier tunes, but don’t let that dissuade you from seeking out this EP.